Late last night I learned that some of the email sent to me via my contact page has been treated as spam for at least 2 weeks! Oh what fun! If you have tried to contact me but have not heard back this is the reason why. My apologies. Please try again. Several weeks ago my IP said they were changing my account to a different server. I think this indirectly caused the problem; a spam filter considered everything forwarded by that server to be spam. But most importantly, I have tried to convince the spam filter that people trying to contact me via my web page are people I would like to hear from! Here is the team of hard working, trained professionals I have enrolled to help make sure this is all carried out as well as possible. 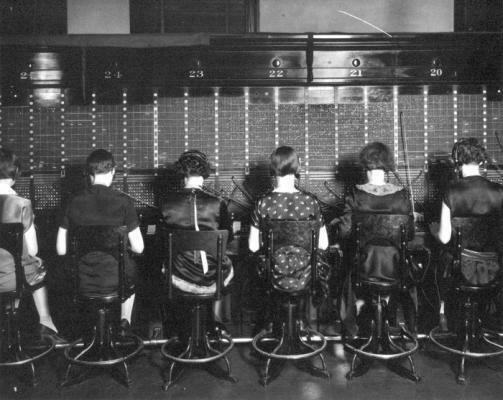 This team of communication technicians is ably led by Matilda (in the lovely polka-dot dress). These six miracle workers have over 100 years of combined experience routing communications through the appropriate channel. Getting messages from point A to point B gives their lives meaning. Gertrude (the one only partialy shown in the photograph on the left) prefers not be be totaly seen in photographs. This is because she is in charge of security. Gertrude spends countless hours searching the web for hackers, spammers, etc. Sometimes her dedication to keeping communications squeaky clean takes her from the virtual world into the “real” world. If your are abusing the internet and Gertrude shows up at your door you should be afraid, very afraid. They sometimes carry on like school girls. They have so much fun that I don’t want to separate them! I’m pretty sure that’s my gramma Ruthie to the left of Matilda.